GreenSocks - Lawn Mowing in Hamilton - Instant pricing! Are you looking to have your lawn mowed in Hamilton? You’d love to try a service that looks after it all for you? Excellent. You’re in the right place. We offer instant online pricing, a super easy booking process, trusted mowing providers and an always-friendly customer service. If you decide to book a regular mow, you can also switch between our mowing providers at any time at no extra charge because your happiness is our first priority. GreenSocks, your professional lawn mowing service in Hamilton. Try us out today, you’ll be super happy you did. Hamilton is an inner city north Brisbane suburb, proudly perched alongside the Brisbane river. With the right budget, you can buy a Hamilton house or unit (with or without the traditional Aussie lawn) that will reward you with sensational views of the city’s heart. Sensational panoramic view from 62 Toorak Rd, Hamilton, Brisbane. Image credit: Ray White New Farm, Brisbane. Views from 76 Crescent Rd, Hamilton, Brisbane. 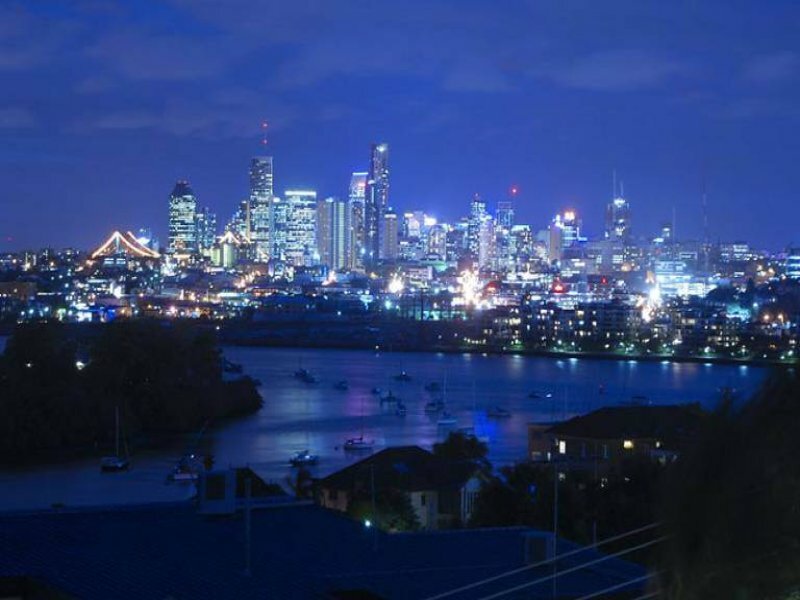 Image credit: Ray White – Ascot, Brisbane. Remember, if do score yourself a home with a lawn and you’d like someone to organise your lawn mowing in Hamilton so you can relax on your deck to enjoy the view, we’re here for you! This huge park in Hamilton is one of the best parks in Brisbane. 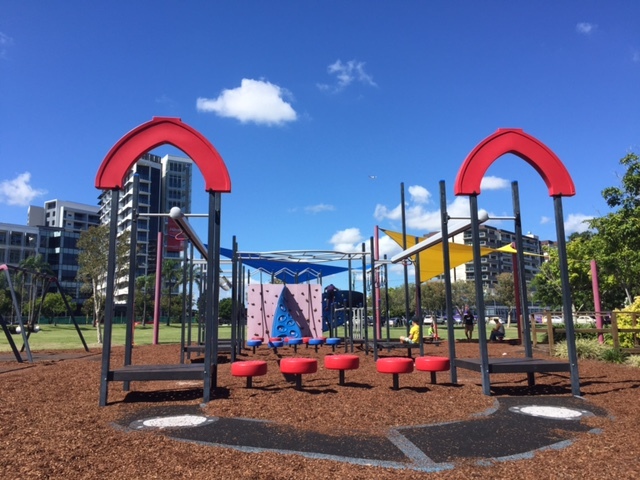 It is split into different sections and has playground equipment for small toddlers, primary school children and even some challenging pieces that would still appeal to young high schoolers. In addition, there is a specially made bike area for small children, with road signs, lanes and roundabouts. Plus, a huge grassy area (mmm… maybe they need lawn mowing services?) 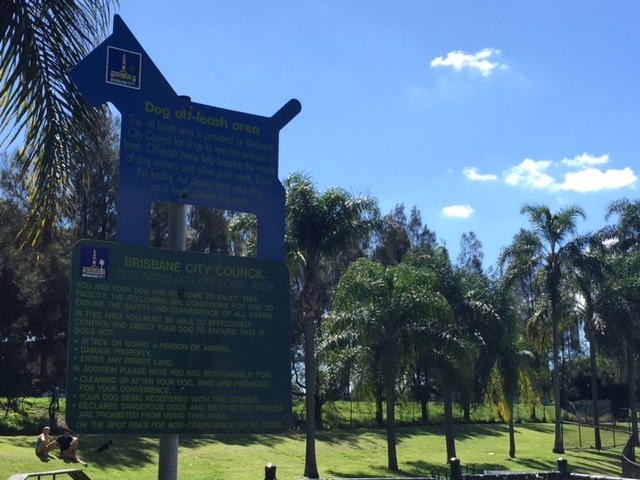 to run around on or for playing a family game of cricket, as well as a perfectly sized dog park for Brisbane locals who are looking for somewhere take Rover on an outing to as well. If you haven’t yet checked out this really cool place to dine on every Friday and Saturday evening (4pm-10pm), grab your friends and come on down. 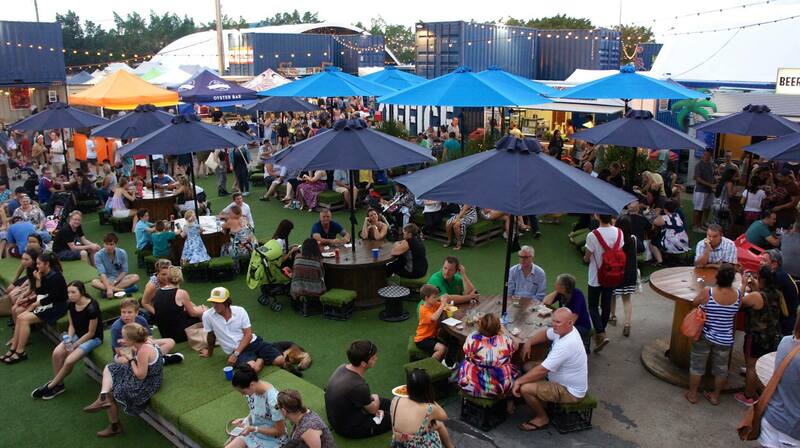 With delicious food stalls serving out of huge shipping containers, it really is one of ‘the’ places to frequent in you live in or close to Hamilton in Brisbane. You’ll never know which local celebrity you might see there! Wouldn’t we all love grass like this that we don’t need to mow? The look and feel of Eat Street is an experience in itself. There is a grassed park area within Eat Street, located next to the river, which is an alcohol and dog free zone. Let the kids run around while you get comfy and stretch out on the lawn. Eat Street Markets has recently added a “pop up” drive-in to its Northshore dining experience. Screening current popular releases as well as occasional classic Hollywood blockbusters, the “drive-in” is situated only minutes from Eat Street Markets along Macarthur Avenue on the banks of the Brisbane River with city vistas as a magical backdrop. Skip mowing your lawn and go and enjoy the latest movies from either the comfort and privacy of your own vehicle or one of their comfy moon chairs in our dress circle and enjoy a night outdoors under the stars with a cool river breeze. Movies are every Friday and Saturday night, Gates open 5.30pm and movie starts 7:30pm. Finally, one of the most practical reasons to live in Hamilton is its super easy access to Brisbane City (for work), Brisbane’s first Direct Factory Outlets (for shopping) and the Brisbane Airport (for play). Not many Brisbane suburbs can offer you access to all three of these major draw cards, yet still give amazing city views, a huge gorgeous park to walk to, and a trendy place where you can order food out of shipping containers. Hamilton is very conveniently located and for this reason, is one of the best suburbs to live in Brisbane. Golf Central BNE has recently opened. It’s centrally positioned within the Skygate precinct of Brisbane Airport, easily located next to the Novotel Brisbane Airport and DFO Shopping Complexes. Why not try out their driving range with floodlight grass tees (open Fri / Sat / Sun), the mini golf (perfectly manicured lawns) or relax in the cafe and bar? They also have a pro shop and tuition for those that are keen to get golfing! 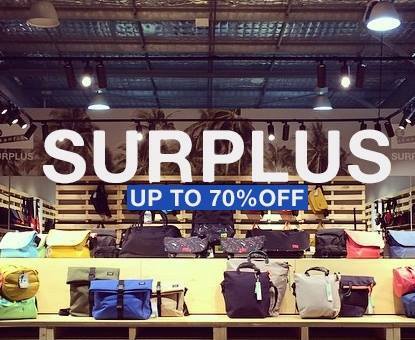 Just one of the many sales at the DFO (Direct Factory Outlets) Brisbane Airport. Image credit: DFO Brisbane Facebook page. Hamilton Reach Parklands. Image credit: Frasers Property. So, if you’d rather be enjoying your back deck Hamilton views, or watching your children and dog play at Hamilton Recreation Reserve, or dining with friends at the Eat Street Markets, or shopping at the DFO, or travelling on a plane to explore the world, why not let us organise your lawn mowing in Hamilton? North Brisbane suburbs near Hamilton? If you’re not a north Brisbane local and you’re still trying to get your bearings over this side of town, surrounding suburbs to Hamilton include: Ascot; Eagle Farm; Windsor; and Bowen Hills. Other North Brisbane suburbs that you may have heard of include: New Farm; Clayfield; Nundah; Stafford; Chermside; McDowall; Bridgeman Downs; and Carseldine.